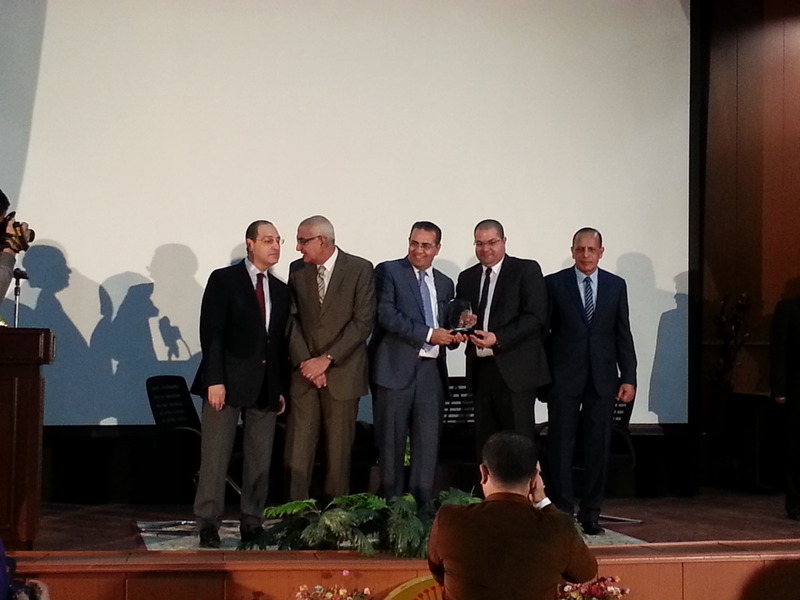 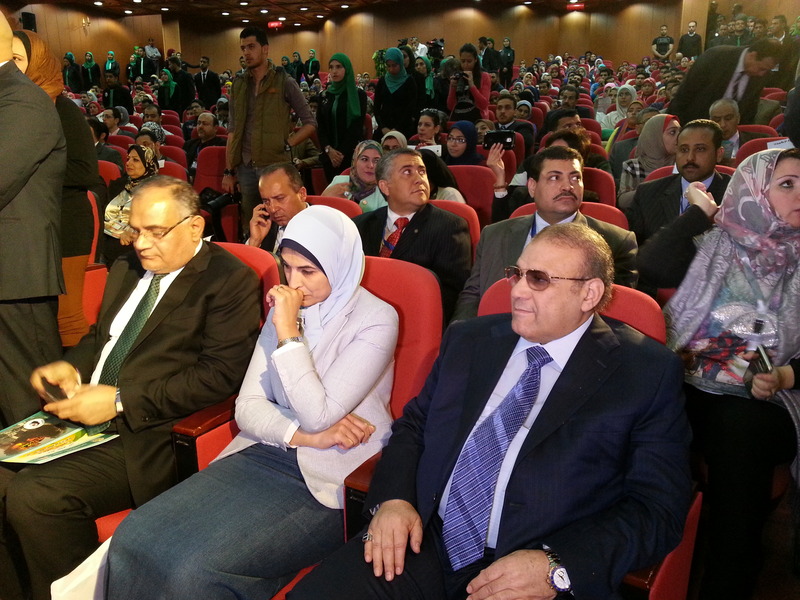 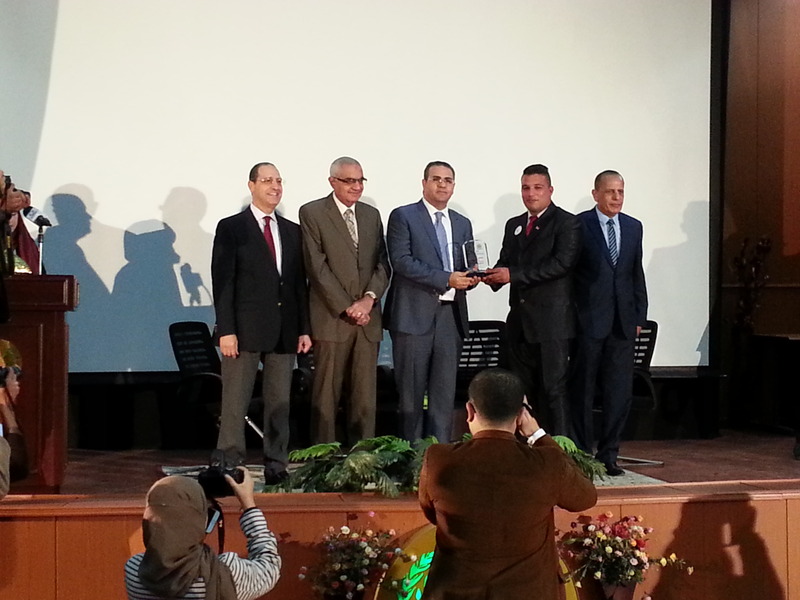 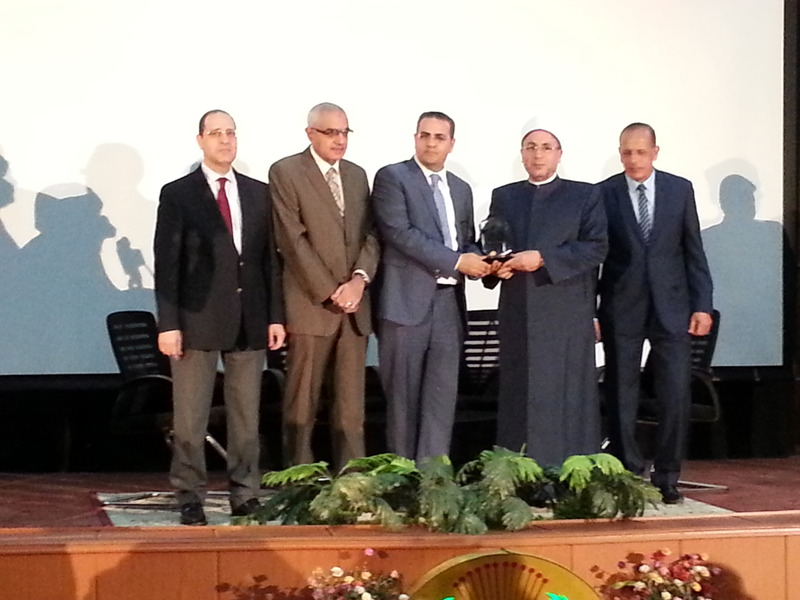 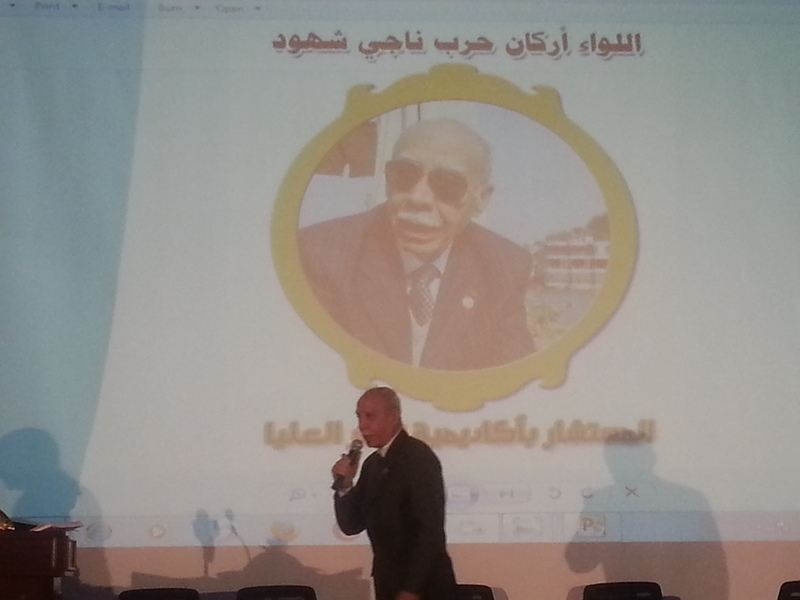 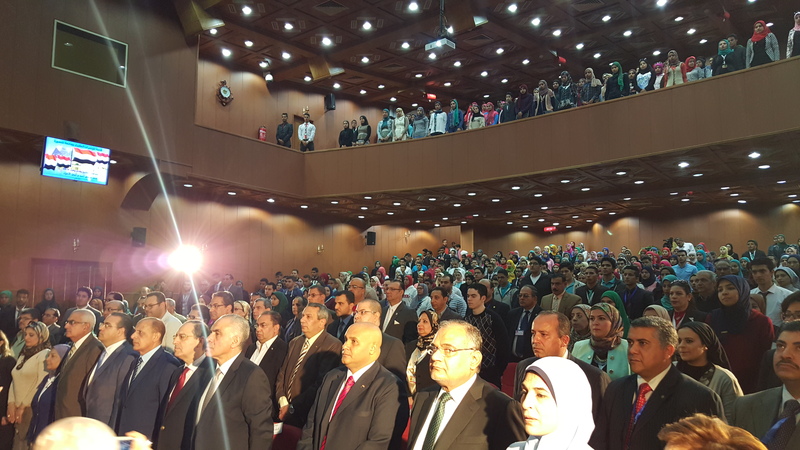 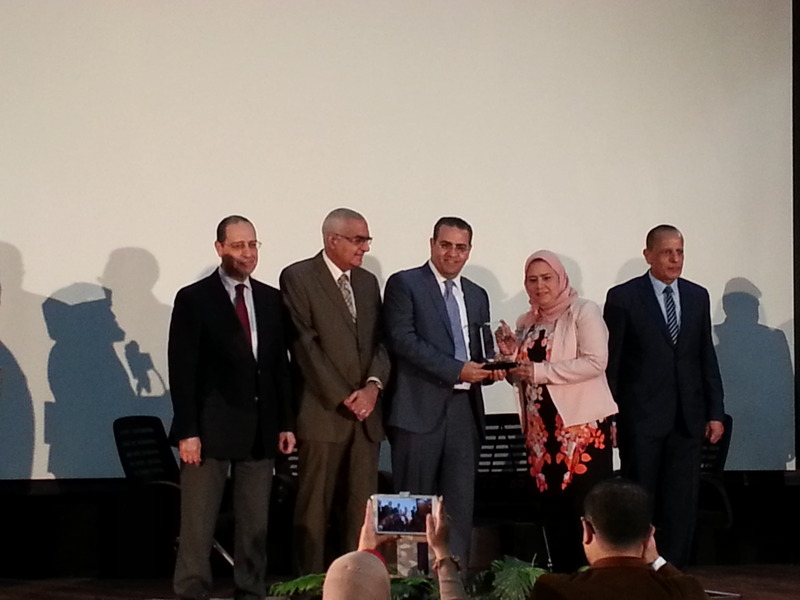 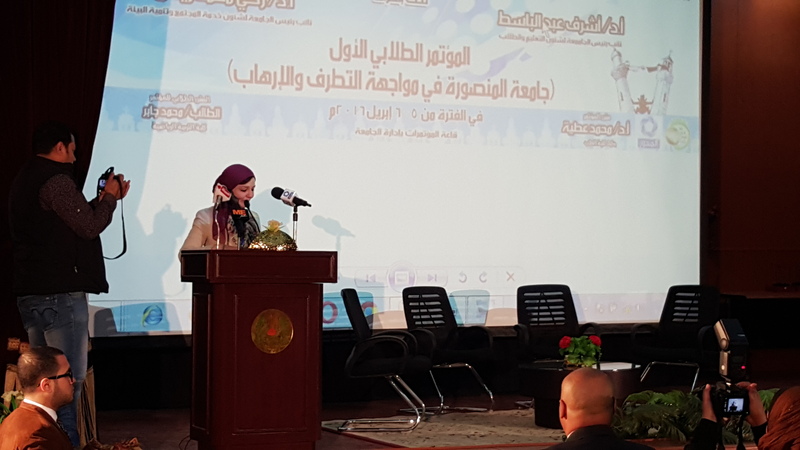 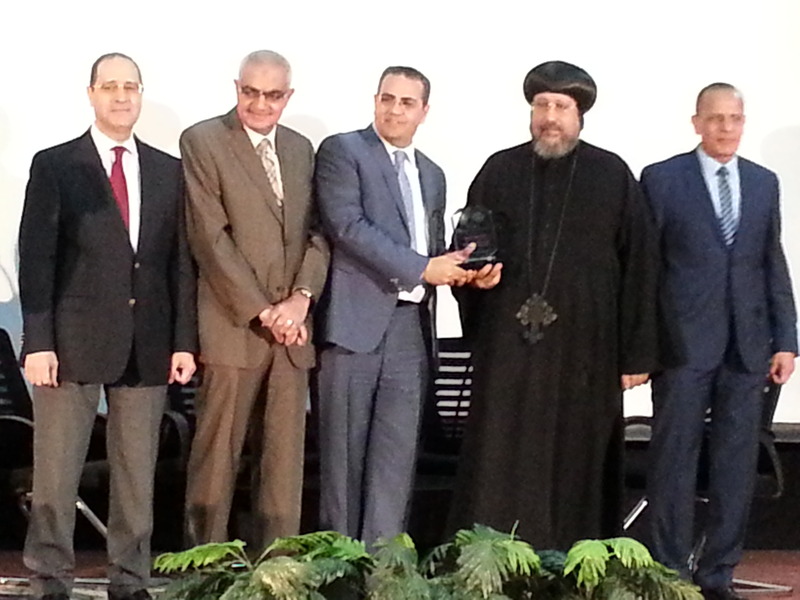 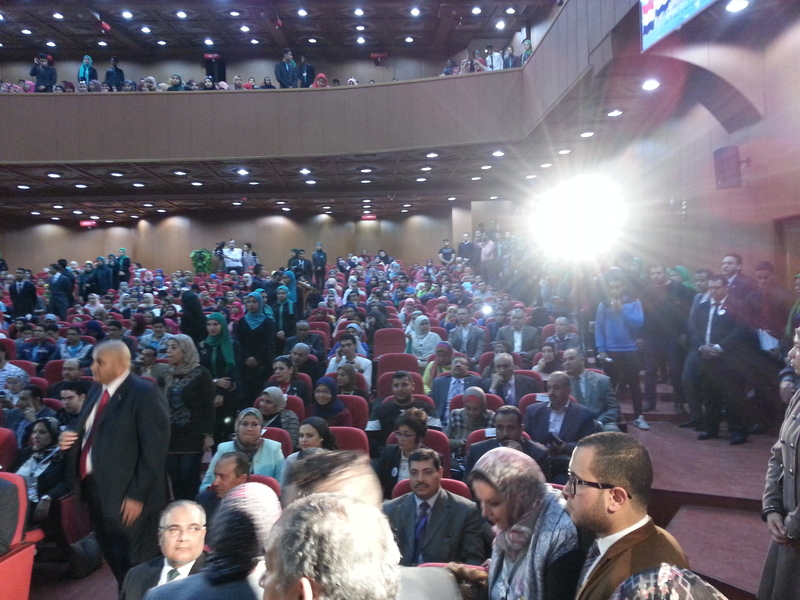 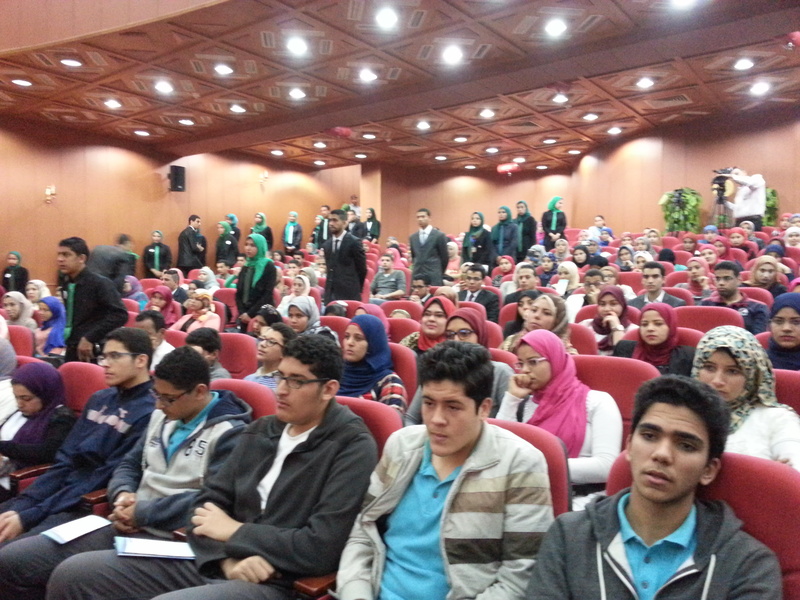 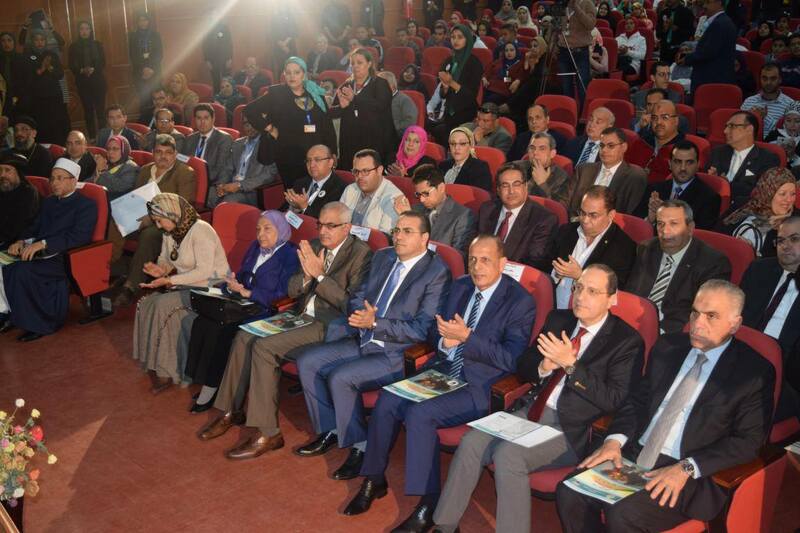 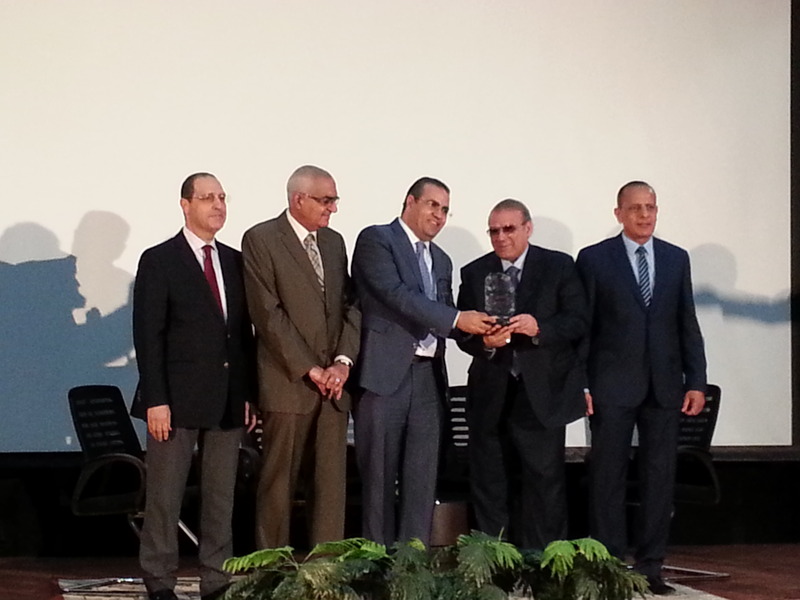 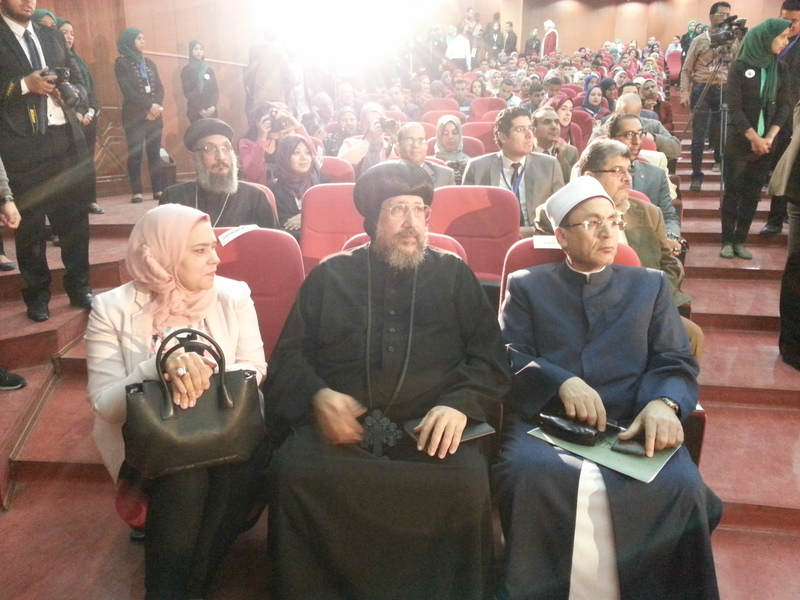 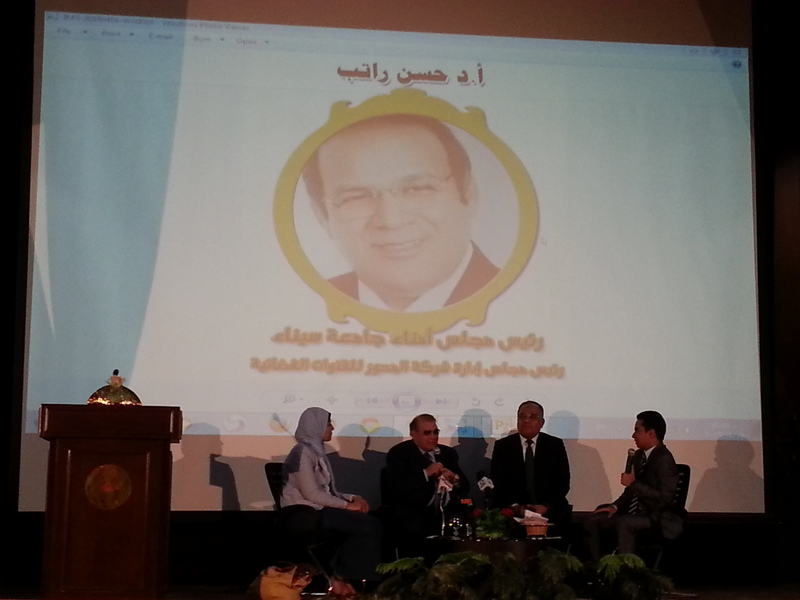 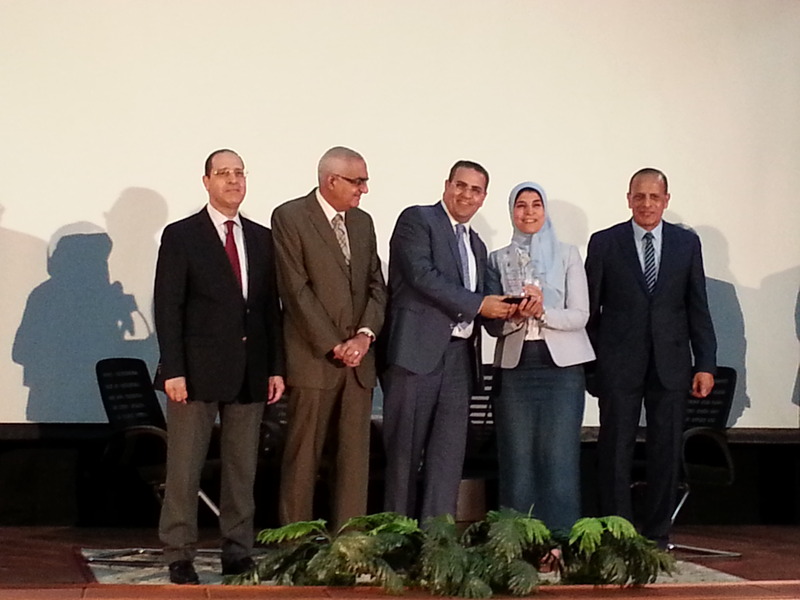 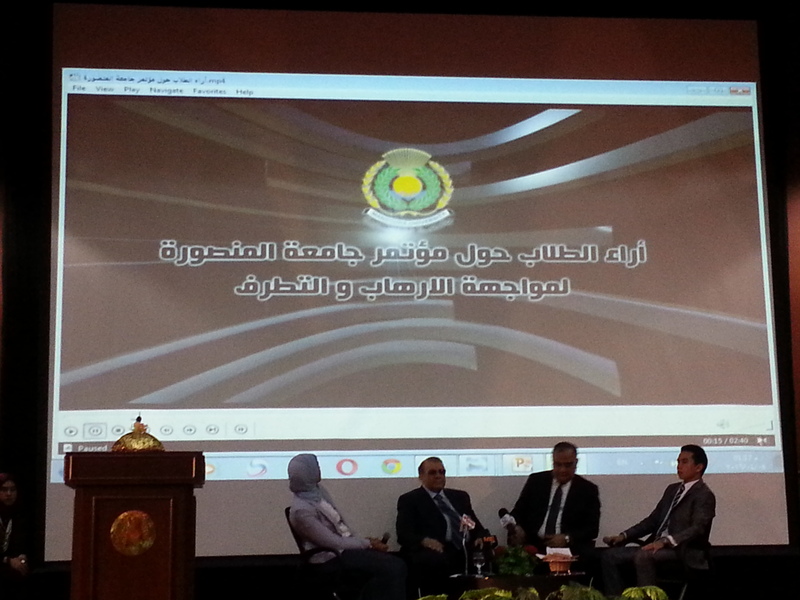 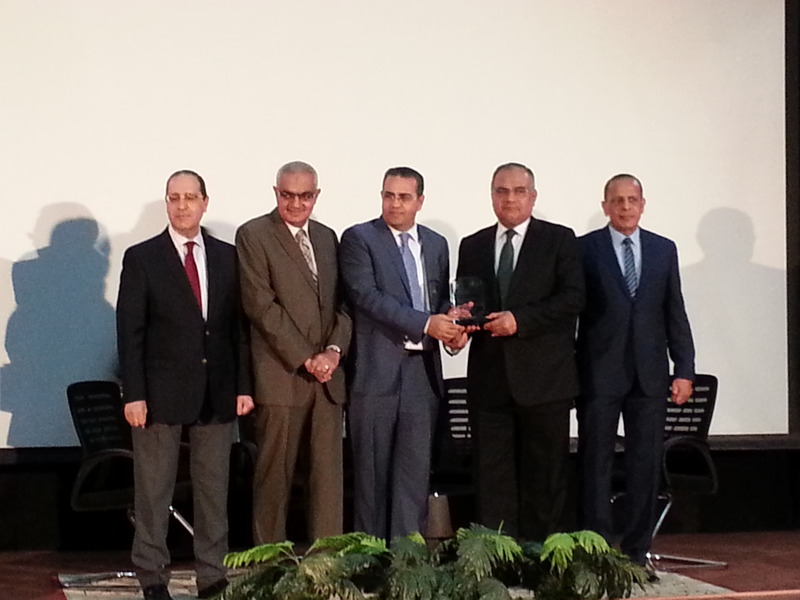 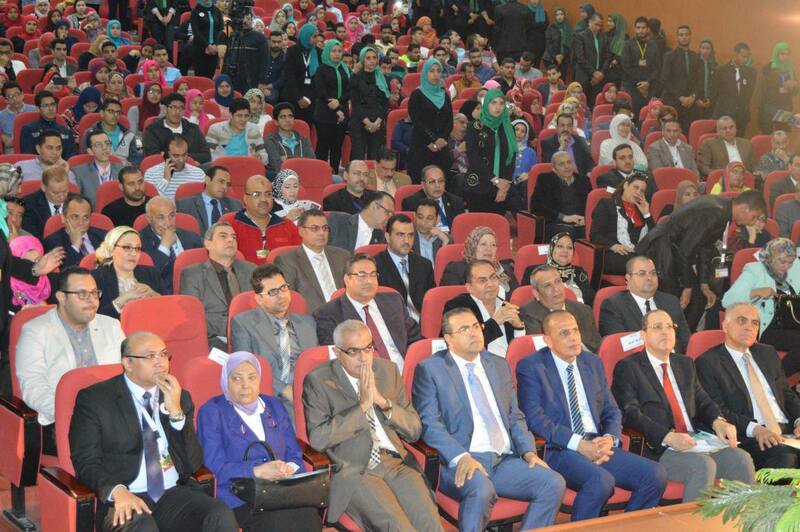 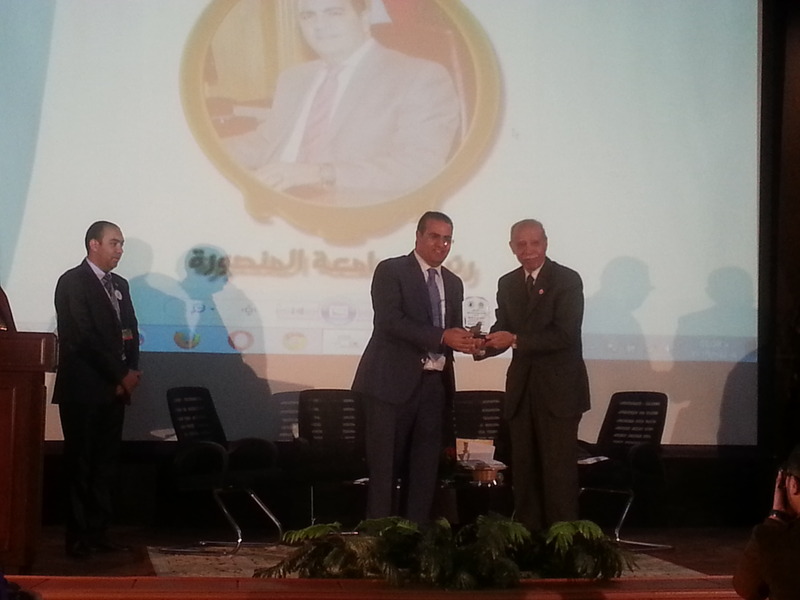 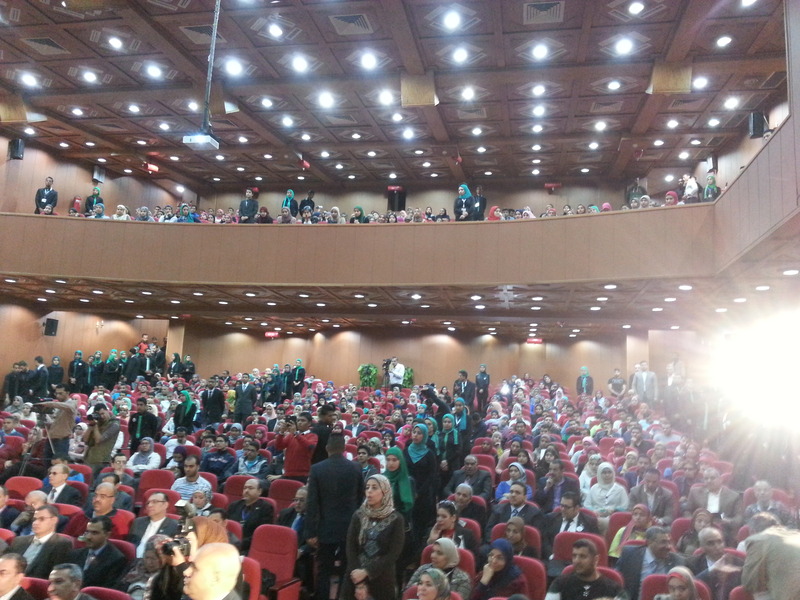 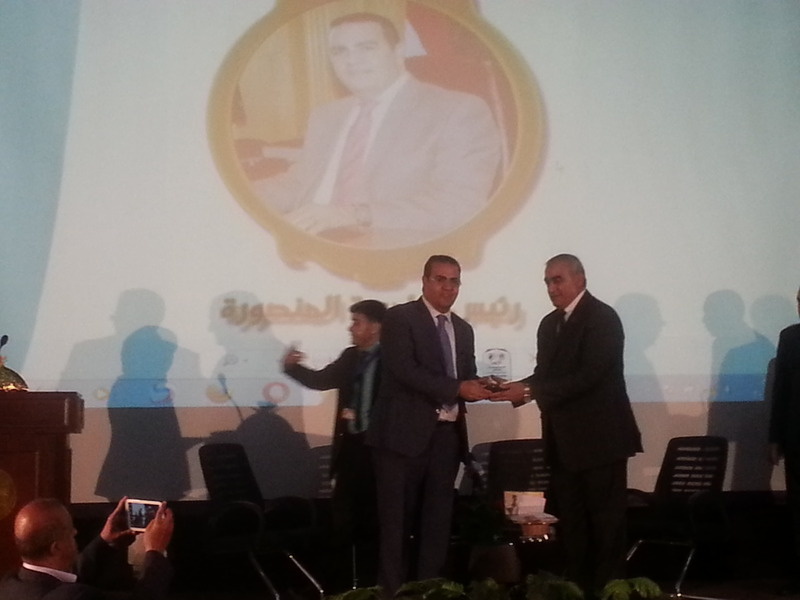 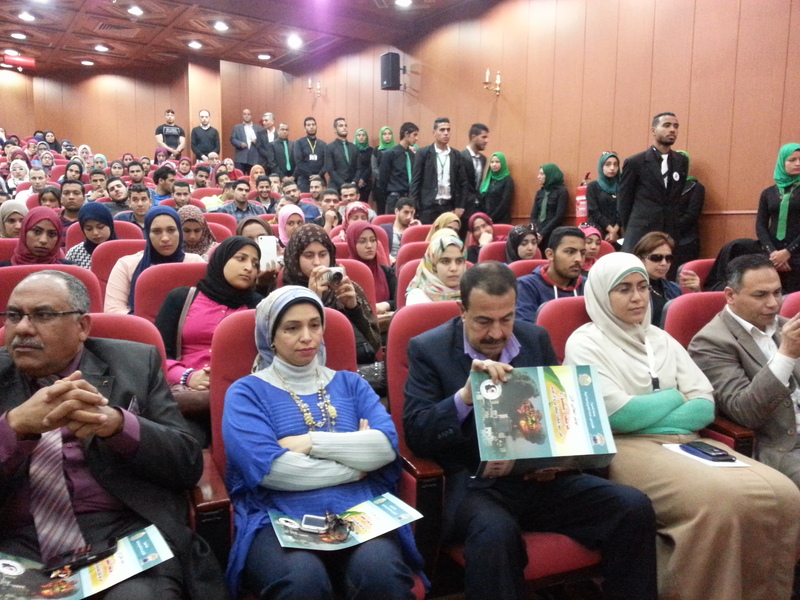 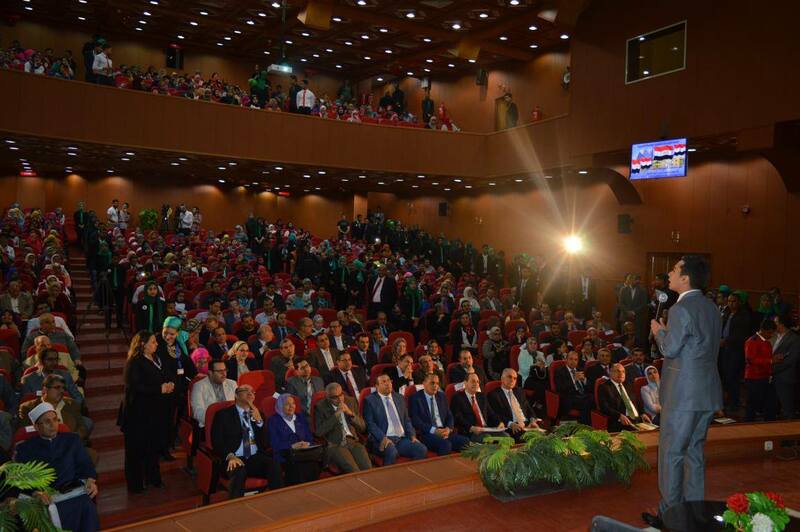 In the light of the directions of the State President concerning the confrontation of extremism and terrorism, and under the auspices of the Minister of Higher Education, the University President, Prof. Mohammed El-Kenawy inaugurated the first student conference: “Mansoura University Confronting Extremism and Terrorism” 5-6/4/2016. 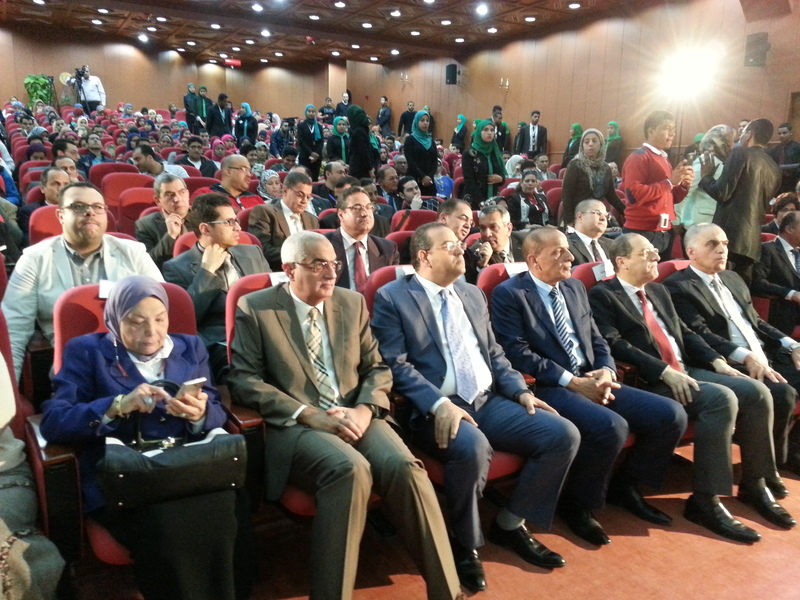 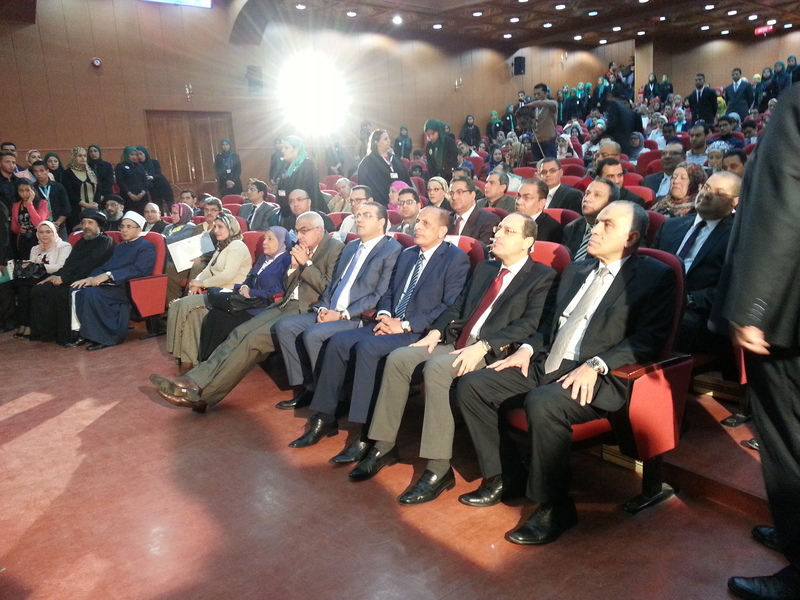 The Conference aims at making use of the students’ potentialities, training the students on active participation with purpose of developing their homeland, increasing the sense of loyalty and belonging, keeping the nation united, activating the university role in helping the youth’s ideas reach out to decision makers, and developing the bonds and the cooperation between the students and the university leaders. 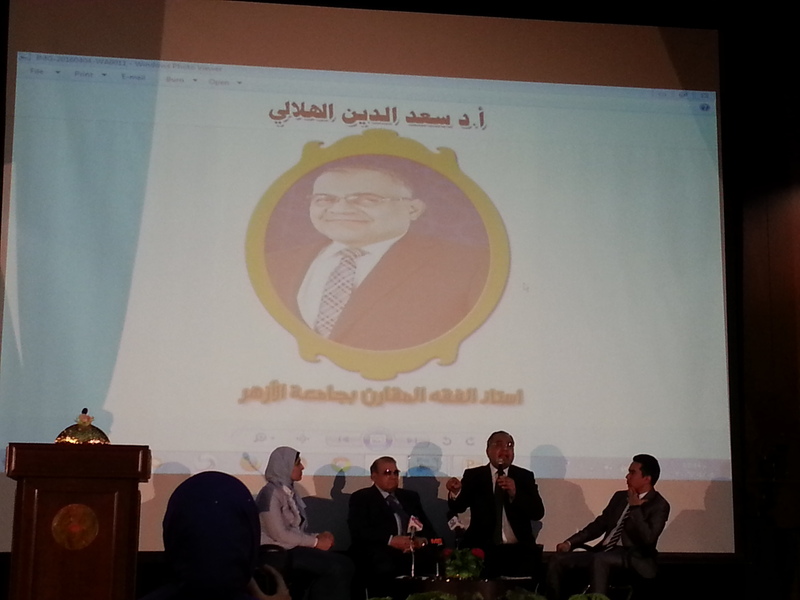 Prof. El-kenawy, the University President, stated that he was very much proud of the students’ idea of making such a conference. 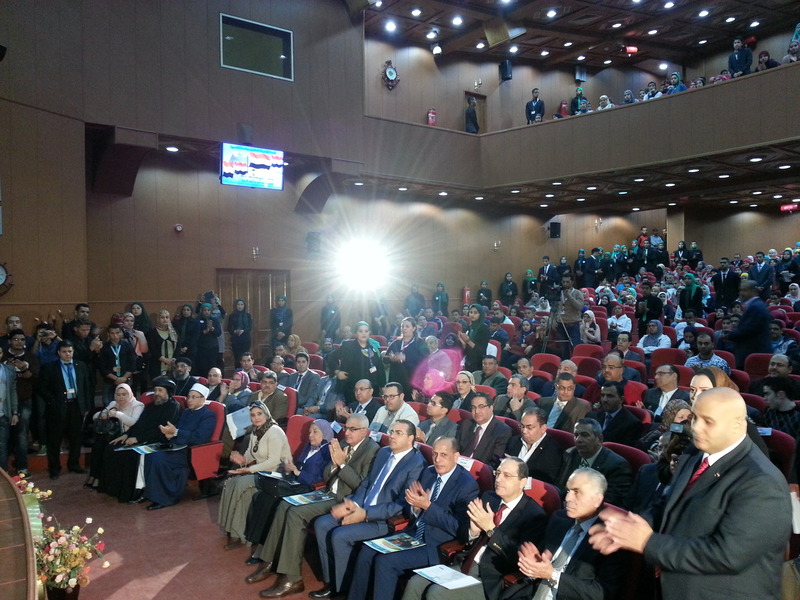 He also thanked all the attendees, the participating students, and those who contributed to the success of the conference. 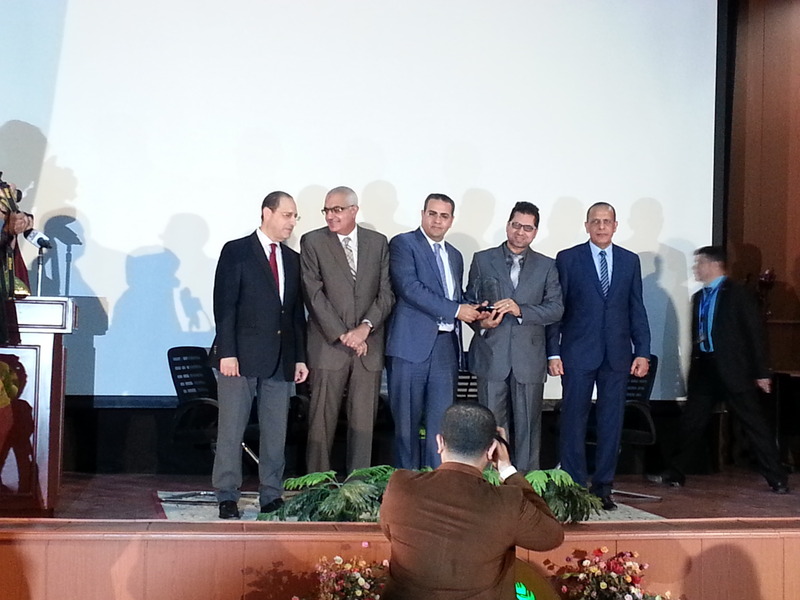 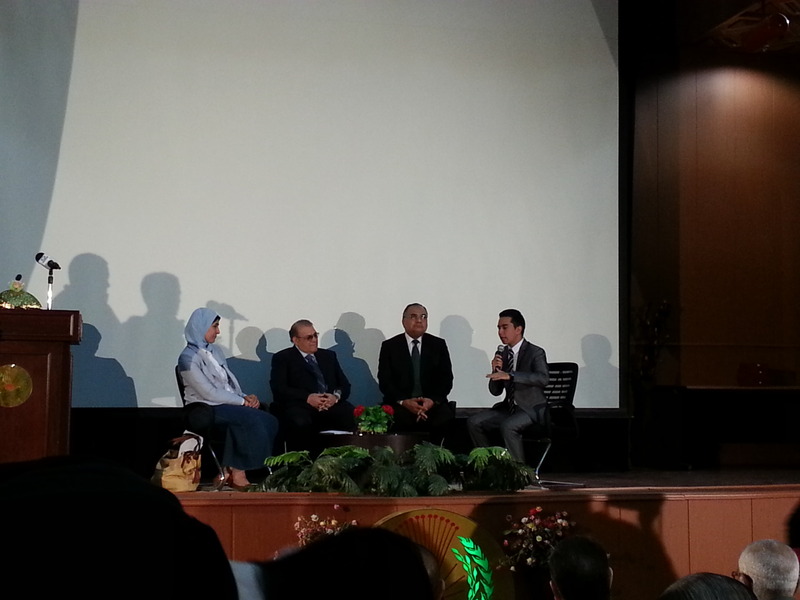 The university President and Vice-Presidents recognized the honorable guests and offered them shields. 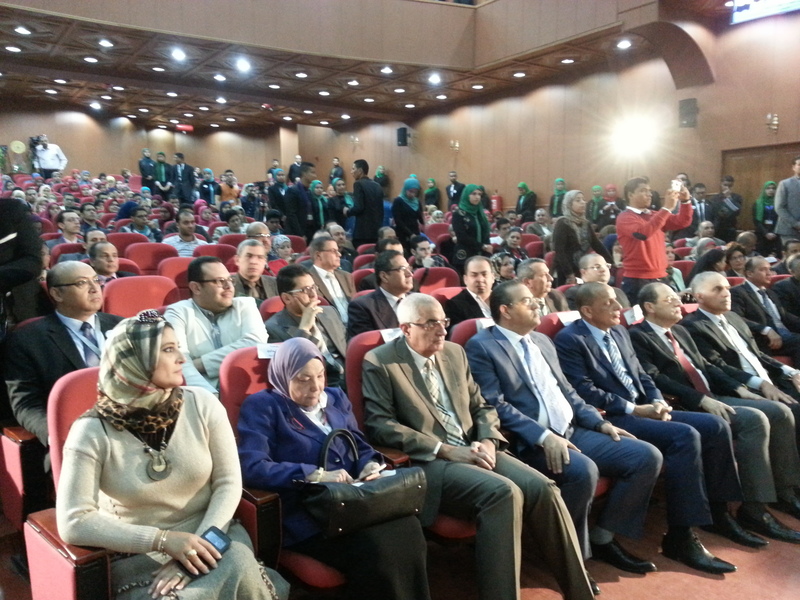 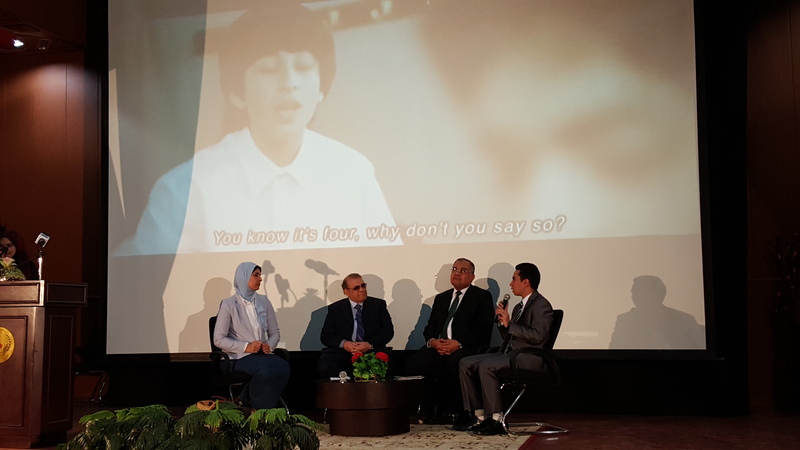 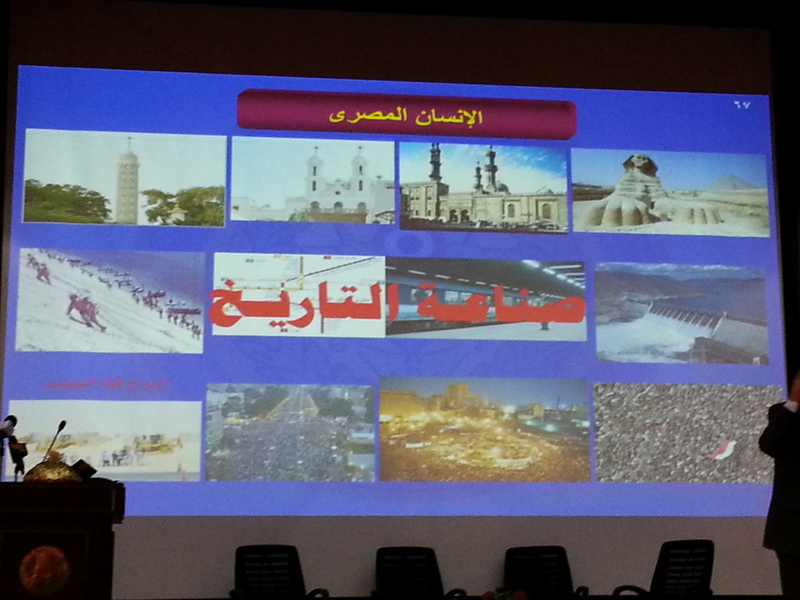 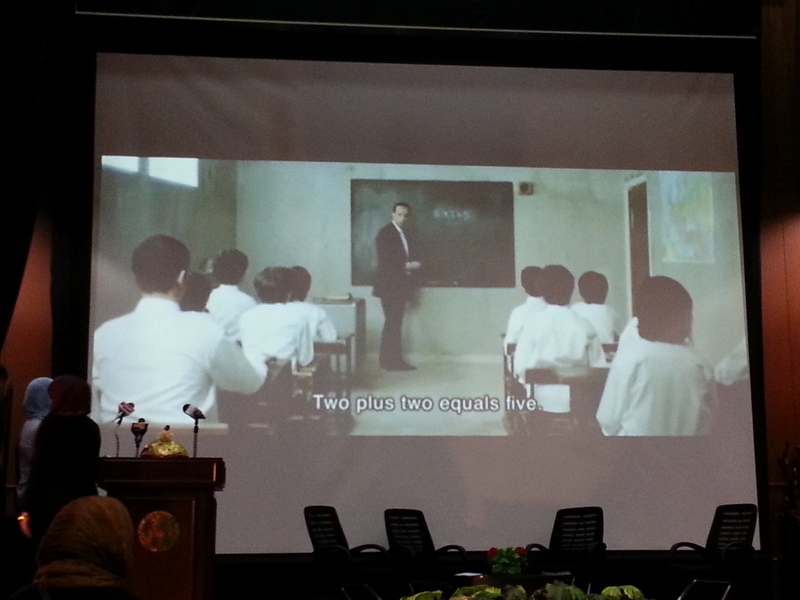 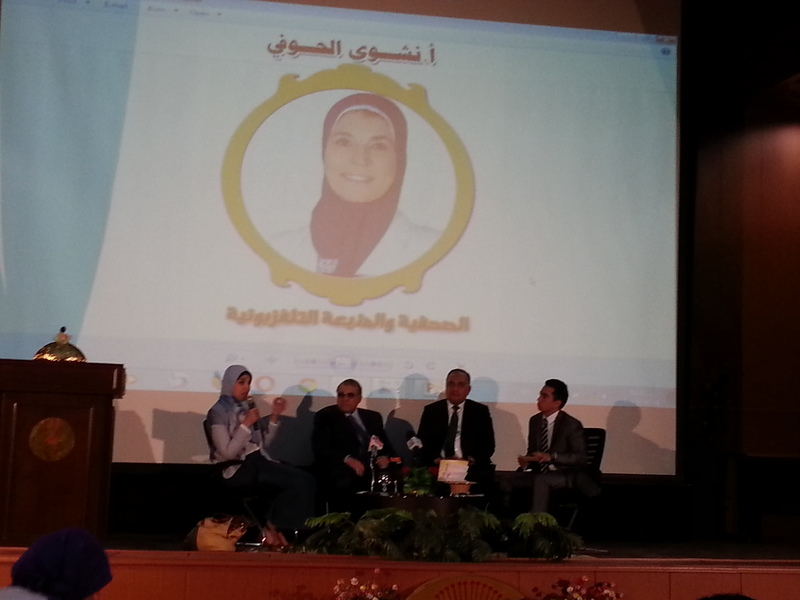 The conference included many sessions like the one on “Youth and the Societal Dialogue”. 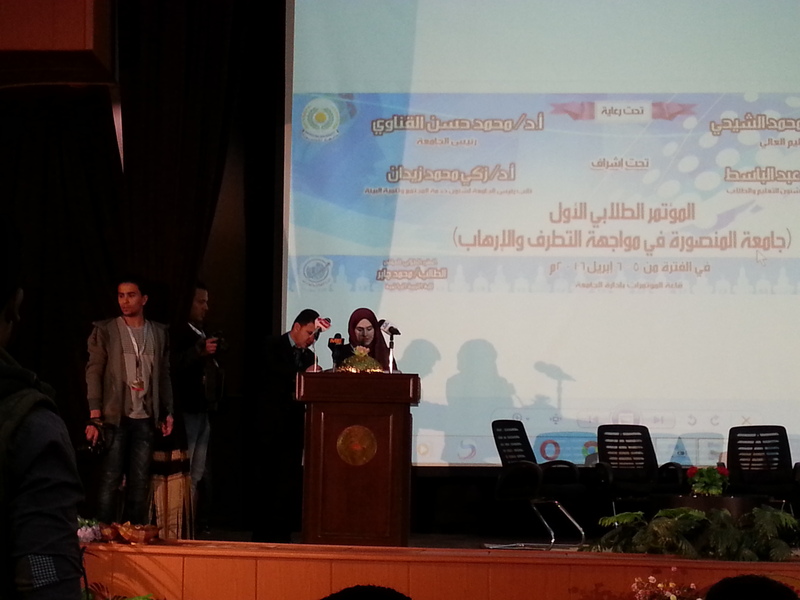 As a side-activity of the conference, the Artistic Fair was opened.